It's time to re-vamp our website. I have also been meaning to start blogging again and posting more of our photos and comics on our website but feeling stuck on where to start. Especially with all the social media apps etc etc out there, it feels a bit overwhelming. I guess I should just start with this website. I admit I've been neglecting it because it's so easy to just post on facebook. But I don't want facebook to take place of what we originally started here and I don't want all our stuff stored on Zuckerpoo's site. I'm procrastinating which is unlike me but I have more than a few things on my plate and feeling a bit distracted. One of the things I'm procrastinating on includes drawing up a new comic. I have a few ideas ready to go but I want to save those for later. Hmmm....ugh!! 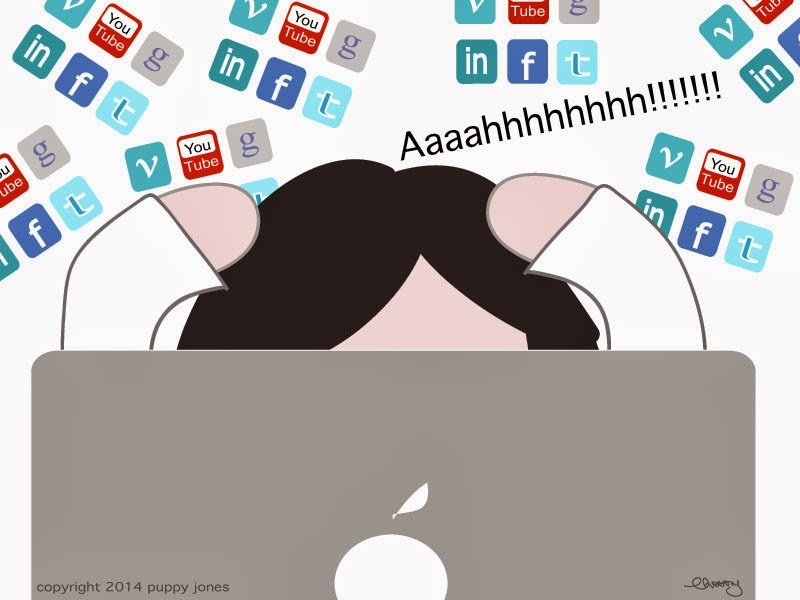 Oh, by the way, if you haven't already seen this, check out this wonderful write up on our Puppy Jones comics by My Daily Toki...♥. We found Toki and her Mum via the wordless wednesday blog hop we recently joined. The write up goes into our process for how we come up with our comics (thanks again for writing about us Toki & Christine!!!). Ok, now Hampton is on my case. He is giving me the evil eye because its dinner time. I certainly can't be late for that! I can't believe its already mid / late October! The year is just flying by! The other day, Dave and I were reflecting on how our little web site has grown since we re-launched it back in January. A few of these include: actually getting the web site up and running again, having our comic featured bi-weekly in The Anipal Times, getting our trademark in Canada and US finalized and the latest is having our t-shirt and Hampton Monroe featured in an online Indian Magazine "Woof!". Its a small feature but a feature none the less! And we are happy for the opportunity to reach out to readers internationally! This is a screenshot from the Anipal Times home page featuring our comic! Doesn't Hampton look so handsome featuring one of our "Jonesin' for Puppy Love" t-shirts? 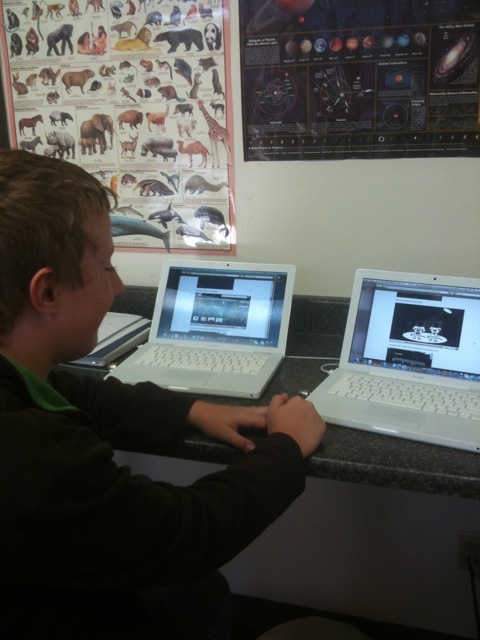 We are also having fun with making our videos of the bb's. Dave recently put together a video story about Hampton plotting to steal ZuZu's t.b. Some of the footage really makes me laugh: the scene where Hampton ruins it for himself by lunging out at ZuZu and forgetting about t.b., and the scene where ZuZu is sitting on the armchair all victorious from getting her t.b. back. lol! If you haven't seen it yet, click here and have a peek at it! For those of you who have seen us grow from when we first launched back in 2004 and those who just discovered our web site, thank you for visiting us. We hope we can continue to grow and share our story for the love of our pups with you for a long time! Wow, I feel like I've been away from the internet world for sooo long! There is so much to update you on! Dave and I just got back from vacation (in California) yesterday and we are pooped. - Golfed in Palm Springs - It was crazy hot and we were the ONLY golfers on the course that day. We had to play though as there was just nothing else to do out there! At least we can say we did it. - Went to Disneyland - It was my 1st time ever and finally full-filled a childhood dream. There is so much we wanted to do and see but once you pick a room you are pretty much stuck in there, otherwise you loose your seat and can't get in anywhere else. Some of the panels we saw included: Tron Legacy, Megamind, RED, Expendables, The Simpsons, Fringe, Chuck, V for Visitors....One of the definite highlights though was when we met Snoopy! He was so sweet and cuddly. 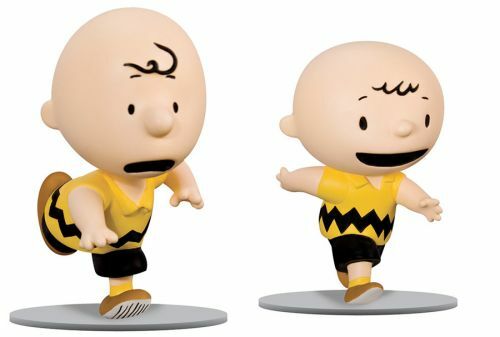 Charlie Brown and Snoopy were on the cover of the Comic Con programs - they are celebrating 60 years in the industry! Wow 60 years. Go Snoopy! Well, its getting late. Hampton is ringing his bell for his late night potty break so better go. Thanks for reading about our trip. Hey All! Sorry we haven't posted in a while. There is so much to update you on (e.g. 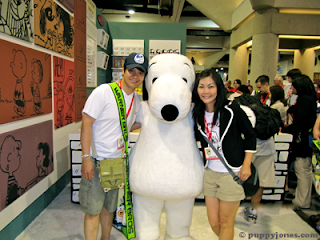 the amazing Anipal Academy Awards event, our trip to Disneyland, our upcoming comic con experience etc etc). We'll be back soon to update, promise! 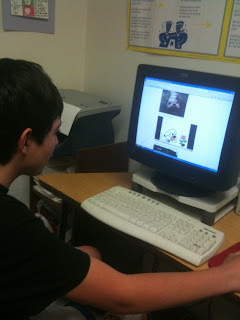 Starting tomorrow the bb's will start "wordless wednesday" posts on their blog. Enjoy! we have a facebook fanpage! We'd love it if you'd join us there too if you have a facebook account. 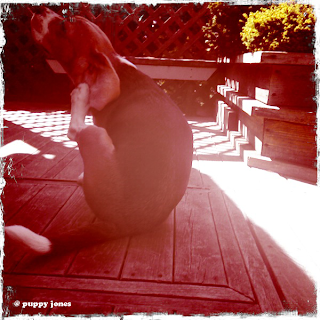 Hampton Monroe also has his own account as our spokespuppy for Puppy Jones. He'd love to have you as a friend. We were really touched by a tweet we received yesterday about our most recent cartoon. I'm always touched and surprised with any nice comments we received but this one really made us feel good. "*They* really loved it! Laughed and smiled! #bullDogNATION"
Its nice to know that we brought smiles to those who watched our cartoon and in turn brought us big smiles too. Here is a link to @That1EBD's blog that describes the great work that he and his Mum do at the learning centre! Thank you to our dear friend @That1EBD, you made our day, week, month!!! 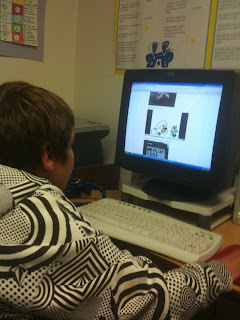 Part 4 of our cartoon animation is up on our youtube channel www.youtube.com/user/puppyjoneslove! Wow this one took longer than I thought it would. Not only because I was thinking about what would happen next but also because I decided to try and use voices! It was fun playing around with the audio and bringing the characters a little bit more to life. If some of you are thinking that Hampton Monroe's voice sounds more like a little girl we agree with you. However, we thought since he is a puppy we wanted to portray a pre-pubescent voice and the innocence that goes along with it. 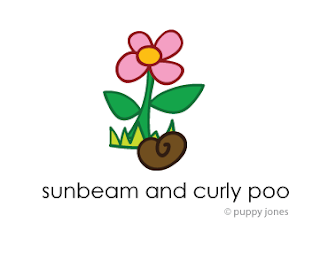 We were also happy to introduce Curly Poo and Sunbeam in this cartoon. Curly Poo has only been in one of our comics so far and you may have seen Sunbeam around here and there. If you haven't figured it out by watching the cartoon, Sunbeam is a little pre-madonna. She loves her self and everything beautiful. Curly poo is well, a piece of poo! But he is dealing with it and trying the live his life as best he can. I think you get a glimpse of what these two are about in this video. Their short bios are also found here. I'm having a lot of fun just playing around with this stuff. Thanks for watching and I hope you enjoy! I've been meaning to blog about this for a while and don't know why I didn't get to it sooner! 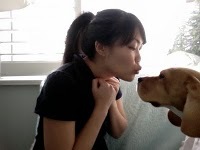 My pups and I have met some great anipals and their "hoomans" on twitter. 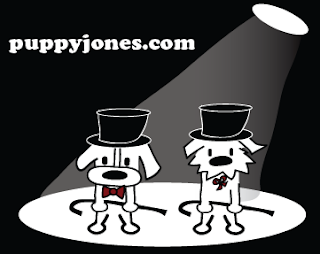 Recently one of our anipals had a great idea for an "Anipal Academy Awards" show and pawpawty event! We were very honored to be asked to be part of the planning committee! The inspiration behind this was of course the many anipals out there with so many different talents. From the words of @AutumntheDoxie the Executive Director of this event "Whether we make others laugh, help organize, write blogs, make movies, help our furfriends on the journey to rainbow bridge, or are just a good furfriend to have we all do something to help one another. Now we will have the opportunity to shine and show one another how much we appreciate what we do for each other and animals everywhere, no matter how small or how big what we do is." We can't wait for the pawty! 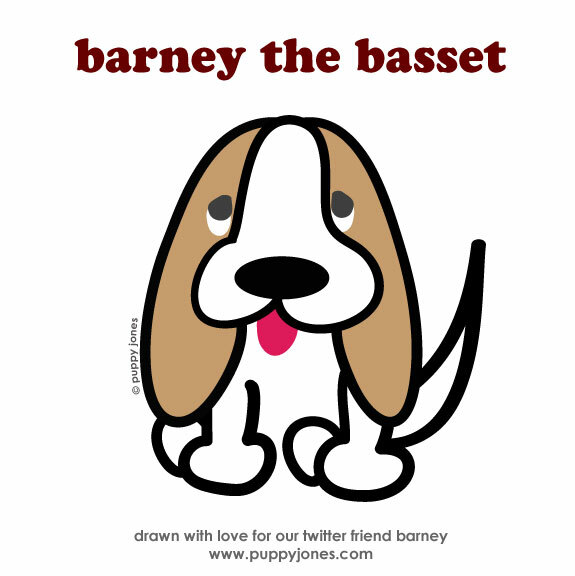 I've had to delay putting up new cartoon videos of the BB's but I am working on that! I'm aiming to get another one up next week! I'm going to try to actually put in voices on this next one. Its fun learning to do this stuff and hope you'll like it. Hey everyone! I'm feeling out of touch as I haven't been online as much as I usually am. It's been busy as we're trying to catch up on a few projects. One of them is working on Part 3 of our first series of animation shorts called "online love", featuring Hampton Monroe. I had hoped to have it posted yesterday but will have it up by tomorrow! If you haven't seen Part 1 and 2 please have a peek! If you like them please feel free to forward, tweet, or post on your blog / facebook or simply subscribe! :) We plan on creating more of these on an ongoing basis. Starbuck, ZuZu and our other characters will also have their own story lines. We can relate to Dr. Seuss today. 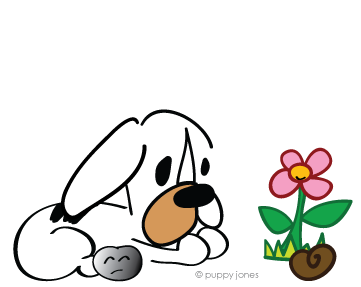 We're all up late working on a few things for Puppy Jones and just spending some quality time (QT) together. We have a new valentine's day comic up in our comic blog that basically sums up how we spent our weekend. We're a pretty laid back couple and its true we feel happiest spending time at home with the bb's (except we were pretty happy on our honeymoon in Paris but we did miss them very much). We didn't come up with the comic for laughs but wanted to share something sweet with you and something other dog lovers can relate to. On our walk tonight a car came up the road which separated me and Hampton on one side and D and ZuZu on the other side. I could see Hampton getting a bit anxious about seperating away from D and ZuZu, which I expected. I also noticed however that ZuZu looked a bit anxious too. I was a bit surprised as although I know she looks out for him its not the same bond she had with Starbuck. When the car passed they both ran at each other and touched their noses as if to say 'hi we're back together again'. Its nice to see the bond between ZuZu and Hampton becoming stronger. She even let him snuggle with her in her favorite spot and she also gave him some kisses as Hampton proudly posted in his blog. Perhaps she knows its Valentine's day and is giving him some extra love. Hope everyone gets some extra love today! Don't have anything in particular to blog about today so thought I'd just share some puppy love! Hampton is just a little over a year now but he still is like a puppy to me. ZuZu will be 9 this year (yikes!) and I still call her my puppy. Its funny how they still think of themselves as being the same size as they were when they were just a few months old. Sometimes I don't think Hampton realizes how big he has is now by the way he tries to squeeze himself on my lap. He manages to fit but he's just not as small as he used to be! Too cute. Hope everyone is having a good day today! p.s. Btw we have a new valentine's comic up. Just a simple story but definitely mirrors reality. I'm also working on another flash and hope to put it up soon. Having fun learning how to use it but no expert by any means so its taking me a bit longer to create. We're going to be trying out a new project this month - silk screening! Its something I've always wanted to do and with some time off this month we thought it was the best time to try it out. We just need a few more things on our supply list and then we can get started. I'll document on here how it goes! I'm pretty excited about it. getting close to launching our new website! We are getting really close to re-launching our new web site. I'm so excited! Its been a really long time and I can't believe we are finally going to have an updated web site that we did all on our own! Its not perfect and there is still a lot to do but the first release still makes me very happy. We will have to release the shop and a few other fun things at a later date but we are definitely working on it. I am a bit nervous about our new site for many different reasons but I hope you will like it too!